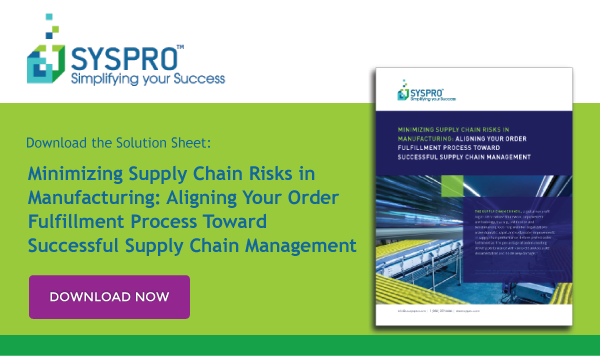 Businesses across all industry sectors are facing the same startling reality that how effectively they manage their order management and fulfillment process has a direct and immediate impact on the success—or survival of their business. And nowhere is this any more evident than in manufacturing. A failure in executing any part of an optimal supply chain and order fulfillment management process can result in production errors, delivery delays, and increased labor and transportation costs. A tarnished brand reputation and loss of revenue are the most detrimental and often non-recoverable outcomes for businesses. Companies must focus on improving order fulfillment by concentrating on increasing the speed and efficiency of business decision-making. The continuous monitoring of the impacts of these decisions will result in a better ability to transform their supply chains from reactive to proactive information-driven value chains.